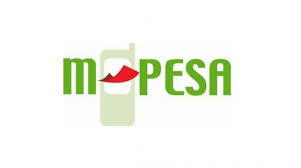 Mpesa is one of the fastest growing mobile banking and money transfer in Kenya. However while there are many success stories reported, there similary are many unsuccessful stories that many do not want to remember or simply go unreported. In this piece i am going to delve into some of the tactics used by thieves and con-men to defraud Mpesa operators off thousands of Kenyan Shillings. 1. Fake Customer Service Operator- This is a common trick whereby a customer will pretend to withdraw money from your outlet. The customer then pretends to have made an error when withdrawing and that the money has gone to another outlet. The customer then proceeds to "call customer care" whereby he/she hands you the phone in the guise that the operator wants to talk to you, the Mpesa Agent. Do not agree to talk to that so called operator. This person is not a "customer care operator" but only an extended branch of the con-gang. This person will end up getting information about your till and even make you send all the e-float you have. 2. Fake Money- Many M-Pesa operators have also been victims of receiving fake currencies. These con-men always want to find a means of disposing their fake currencies and the number one victims are MPesa agents. They pose as customers who want to make large deposits then they hide the fake money in between a few authentic notes. The solution for this is to purchase counterfeit detector machines. 3. 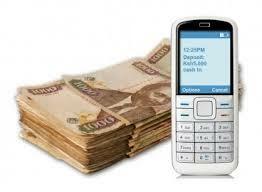 Wrong Change Trick- This is another very common trick con-men use to trick MPesa operators. One way to avoid this trick is to always keep your different note currencies in order. 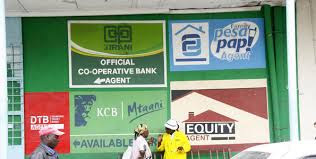 Have the one thousand notes in one place, 500 notes in another place and so forth.This is because some customers can come and for instance withdraw 5,100 shillings. In most cases they come in groups of two or three in order alleviate your attention from one place. 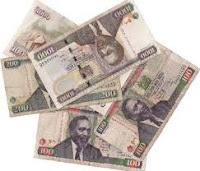 Once you hand over the money to the customer he quickly swipes a one thousand shilling note for a one hundred shilling note then tells you you that the money does not add up. Fall for this trick and risk loosing a lot of money. 4. 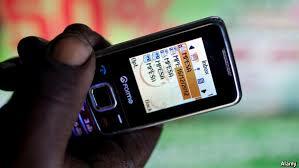 My Phone's Mpesa Does Not Work Trick- Some con-men will want to get away with your personal phone or till. They pose as customers who require you to assist them with your phone because "their phone is damaged and Mpesa does not work." Do not give out your personal phone or business phone to a customer under any circumstance. 5. Reversal Trick- The importance of an Identity Card verification is to avoid scams like the reversal trick. This is where for instance customers with ill intentions pretend to have forgotten their I.D cards after finishing a withdrawal transaction. They instead claim to know the I.D number offhead and dictate it to the operator. 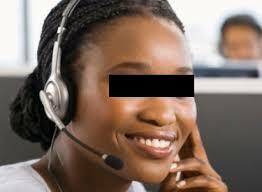 Afterwards, they call the customer care number claiming to have made a wrong withdrawal and need the money reversed. The network would thus call the agent to verify this information and if the identification number does not match with the customer's actual I.D number the money is reversed back to the customer's phone. Agents who are vulnerable to this scam are those who are not strict in asking for an I.D card.